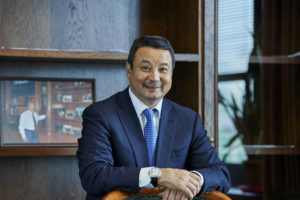 Serik Konakbayev, Vice President of the International Boxing Association (AIBA), President of the Asian Boxing Confederation (ASBC), told in an exclusive interview to Kazinform what changes have affected boxing in Kazakhstan, why our boxers were lucky triple and how the year has passed in general. – Mr. Konakbayev, recently Vietnam hosted the Asian Women’s Boxing Championships. What can you say about the performance of the Kazakh national team? – In my opinion, one gold, one silver and four bronze medals is a very good result. Especially if we take into account the presence of very strong Asian boxing teams from Vietnam, India, China, North Korea, Taipei. And in such a tough competitive group, our girls showed their skills, it’s very encouraging. There is a result, there is still something to strive for. My personal opinion, in general, the women’s national team of Kazakhstan showed a fairly good result. – Four Asian boxing championships had been held this year: these are the men’s, women’s, youth and junior of Asia. Kazakhstan was represented by the full complement of its teams at all championships. What can you say about the performances of our boxers in these championships? – As you know, Kazakhstan boxing school is a high class, a school recognized by the whole world, with a rich history and established traditions. Started from the glorious times of the founder of the Kazakh boxing Shokhr Boltekuly, continued in the Soviet era and preserved to the present day. And not only our fans look after our boxing, but the whole world. If our boxers pampered their fans only with top medals, so they do not expect anything other. The world sports community admires the school, the technique of our guys. Representatives of boxing organizations from other countries always note the work of the Kazakhstan Boxing Federation, many of which are interested in the work system of our federation. I would like to note that nowhere in the world boxers have such powerful supports from the state, federation and fans. Our athletes are lucky triple. Believe me, it is indeed the case. Sport in our country is supported at the highest level; during every trip of the Head of State he visits sports facilities. This is the main evidence of the great importance paid by Nursultan Nazarbayev to mass sports and sports of higher achievements. If we talk in particular about our sport, then with the advent of Timur Kulibayev at the managing positions of the Kazakhstan Boxing Federation, a new era of Kazakhstan boxing began. Complex management covered all the components of boxing life, it is the full funding of athletes, teams, attracting highly qualified coaches, judges, doctors, construction of modern bases and, of course, further strengthening the authority of our boxing in the world sports community. The work done is tremendous, and it is not easy to maintain this level. This is a huge responsibility, which lies with the federation, coaches and athletes. Maybe not always the goals are being fulfilled, but the world moves on, there is a continuous development of boxing, the competition is very high. This is good, because it is the competitive struggle that tempers and motivates even greater achievements. We have entered a new Olympic cycle, the goals are high and we need to strive for them. By the way, the past Asian championships among youth and juniors showed that we have a reserve, and it is quite good. The main thing is not to lose these guys, but lead them right. – Mr. Konakbayev, the Asian confederation of boxing has “completed” its annual plan for continental championships. How do you evaluate 2017, have you managed to achieve all your goals? – Thanks for the question. You know, time is so fast flying. These three years that I am the president of the Asian Boxing Confederation, have passed like one moment. Initially, we had made a deep analysis of what we had and what we should come to. Our confederation has 44 national federations that is the majority of Asian nations. However, despite the huge human potential of the continent, not all countries have economic opportunities for the development of boxing, not all countries have boxing potential. Our goal was to “wake up” these “sleeping” federations, show them what boxing is in our, Kazakhstan’s perception, as we understand and love it. And I, as a person who knew boxing from the inside, understood that without the appropriate material and financial support, it would not be so easy. Since this year we have started, as we call it, the “Program of Little Steps”, it is an ancient truth that the great is born from the small. After all, we should not be afraid, we have to start something and act. With the support of our official partner, the AIBA-accredited supplier of boxing equipment, Chinese Wesing company, we set up the tradition of presenting gloves and focus mitts to our needy federations. As a result, in 2017 this “minimum program” covers 14 countries. This is small in numbers, but still good achievement for us. Also this year, the Confederation sent the Kazakh coach Mukhtar Berdimbetov for 3 months to work in Nepal, for this short time he could show them the basics of boxing school, helped build the training process. And as a result, this year Nepal participated in the junior and women’s championships in Asia for the first time. It is also noteworthy that this year Cambodia and Myanmar participated in our championships, it was their debut in the Asian ring. We are pleased that if within two years Afghanistan was experiencing financial difficulties when sending teams to the competitions, then most recently they have conducted certified courses of AIBA for coaches for the first time in their history. This is an important fact, especially for a country which is at permanent war. This also applies to Syria, which is going through a difficult period of its history, but tries not to miss the competition. Due to financial difficulties, Cambodia and North Korea almost missed the Women’s Asian Championship, our confederation paid for their food and living expenses in Vietnam. Many of our partners from affiliated federations support our initiatives. Now I can say that we could create a united sport spirit of Asian boxing. After all, the point of sport unity is in understanding that we are competitors only in the ring, but outside the ring – we are a single sports family. Is not it pleasant when athletes from North and South Korea, China and Taipei sit together at a round dining table when Uzbek fans chant at the World Championships in Hamburg “Kazakhstan! Kazakhstan!”. Probably these are those very moments for which it is worth to get tired and fall behind on sleep. By the way, at the Men’s World Championships in Germany this year, Asia dominated the overall medal standings for the first time, ahead of other continents. Maybe it is quite immodest, but let us brag of that. So this is the end of this year. – Thank you for an interesting interview. – Thank you also for your genuine interest in sports!